Transferring credit card balances at a lower fixed rate can save you money. 3. I Co-signed for a Student Loan: How Do I Eliminate the Loan? Credit cards companies generally charge much higher interest rates than you pay for an auto loan or mortgage. If you don't pay off the credit card balance each month, you end up paying a lot in interest, which makes it easy for credit card debt to get out of control. Some credit card companies offer promotional deals for very low or fixed-rate interest. These promotions often allow for balance transfers from other credit cards as well. Transferring your balance is a fairly straightforward process and can save you money, especially if you exercise discipline when repaying. Shop around for credit card offers for low, fixed-rate balance transfers. Many credit card companies send the offers in the mail as well. Apply for the credit card on the company's website, over the phone or using the form sent in the mail. Wait for the final approval decision. 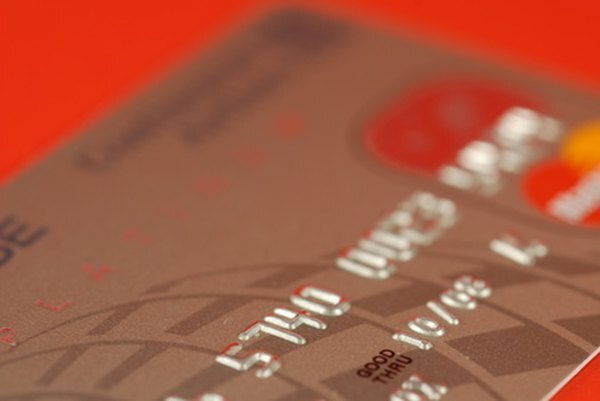 Gather information from the other credit cards you want to transfer. You will need to know the company's name and address, your account number and the amount you want to transfer. Contact the new credit card company to complete the transfer. They might have a form available on their website, or they might send you one when the new card comes in the mail. Continue to pay the other credit cards on time until the transfer is processed. It might take a few days or a few weeks depending on how you submitted the request. You should take note of when any promotional interest rate expires. After that date, you will be subject to the rate usually charged by the credit card company. The length of the promotion varies, but generally it's a few months to a year. If you miss a payment on the new card, you are likely to lose the promotional rate you signed up for. It's always important to pay at least the minimum payment on time, each month. Pay more if you can afford it to pay off your balance faster.